Cahiers Parisiens/Parisian Notebooks publish selected papers drawn from the various advanced-level activities at the University of Chicago Center in Paris. In Volume Seven, scholars from across the continent consider Europe as a discourse made of the sediments of historical experience and utopian ideas. Attached to a geographical region with constantly shifting boundaries, the group considers EUtROPEs as the cultural codes that endow Europe with the many meanings that it has held for different actors at different times. 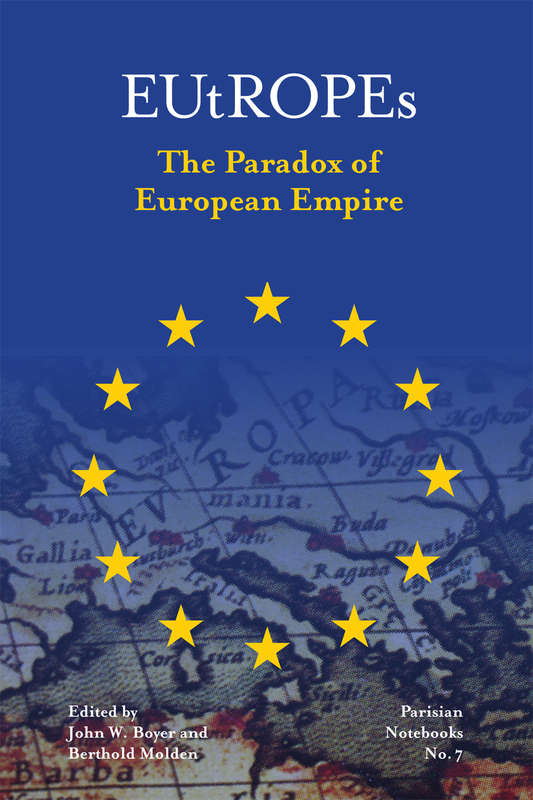 Twenty historians, linguists, cultural scientists, musicologists, and scholars of philosophy, urban studies, and film studies who came together at the University of Chicago’s Center in Paris discuss these tropes in different fields and consider whether the present can continue to bear the weight of the many ideas and legacies of Europe.